Baylor>Psychology & Neuroscience>About>Faculty & Staff Directory>Gary R. Elkins, Ph.D.
Dr. Gary Elkins' areas of specialization are clinical psychology, health psychology, and hypnotherapy. He is a licensed psychologist and is board certified in Clinical Health Psychology by the American Board of Professional Psychology. He is also board certified in Psychological Hypnosis by the American Board of Psychological Hypnosis (ABPH). He has served as the President of the American Society of Clinical Hypnosis and is the president-elect of Division 30 (Society for Psychological Hypnosis) of the American Psychological Association. He is the author of the book, Hypnotic Relaxation Therapy: Principles and Applications. 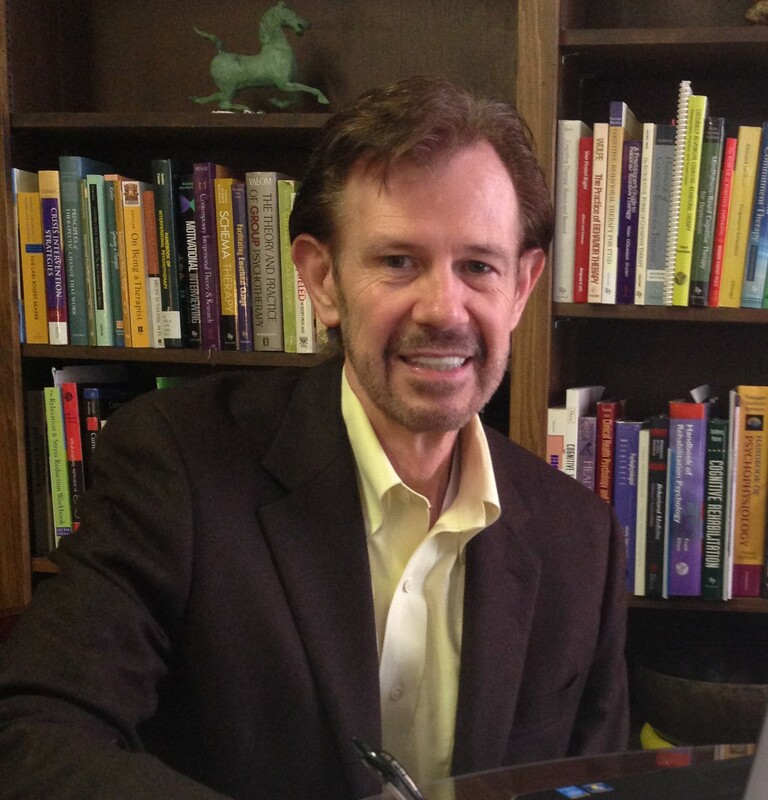 In the past, Dr. Elkins served on the Texas State Board of Examiners of Psychologists. Dr. Elkins hobbies includes fly fishing and exercise. Dr. Elkins areas of research interest is clinical hypnosis and mind-body interventions in women's health care. He recently completed randomized clinical trials of hypnosis for hot flashes among post-menopausal women and breast cancer survivors. Dr. Elkins has a second book forthcoming in 2014 entitled Relief From Hot Flashes: The Natural, Drug-Free Program to Reduce Hot Flashes, Improve Sleep, and Ease Stress from Demos Health Publishing. Elkins, G., Johnson, A., Fisher, W.I., Sliwinski, J., & Keith, T. (2013). A pilot investigation of guided self-hypnosis in the treatment of hot flashes among postmenopausal women. International Journal of Clinical and Experimental Hypnosis, 61 (3), 342-350. Sliwinski, J., & Elkins, G., (2013). Enhancing placebo effects: Insights from social psychology. American Journal of Clinical Hypnosis, 55 (3), 236-248. Elkins, G., Fisher, W., Johnson, A., Carpenter, J., & Keith, T. (2013). Clinical hypnosis in the treatment of postmenopausal hot flashes: A randomized controlled trial. Menopause, 20 (3), 291-298. Elkins, G., Sliwinski, J, Bowers, J., & Encarnacion, E. (2013). Feasibility of clinical hypnosis for the treatment of Parkinson's disease: A case study. International Journal of Clinical and Experimental Hypnosis, 61 (2), 172-182. Fisher, W., Johnson, A., Elkins, G., Otte, J., Burns, D., Yu, M., & Carpenter, J. (2013). Risk factors, pathophysiology, and treatment of hot flashes in cancer. CA: Cancer Journal for Clinicians, 63 (3), 167-192. Perfect, M., & Elkins, G. (2013). Hypnotherapy for the treatment of childhood somatiform disorders. In W. Wester & L. Sugarmann (eds. ), Therapeutic Hypnosis with Children and Adolescents, 2 edition, Crown House Publishing, London, UK. ISBN-13: 978-1845908737 (note this is a book chapter). Elkins, G., Johnson, A. & Fisher, W. (2012). Cognitive hypnotherapy for pain management. American Journal of Clinical Hypnosis, 54 (4), 294-310. PMID: 22655332. Elkins, G., Fisher, W., Johnson, A., Kendrick, C. Koep, L., Bunn, J. & Perfect, M. (2012). Initial development of a brief measure of psychological distress. Psychological Reports,110 (1), 218-226. PMID: 22489387. Elkins, G., Koep, L.L. & Kendrick, C.E. (2012). Hypnotherapy intervention for loin pain hematuria: A case study. International Journal of Clinical and Experimental Hypnosis, 60 (1), 110-120. PMID: 22098573.